this is such a crowd pleaser and a huge hit with everyone we know. it tastes amazing on its own, but feel free to enjoy it with your favourite spread, lots of avo or a good cheese. 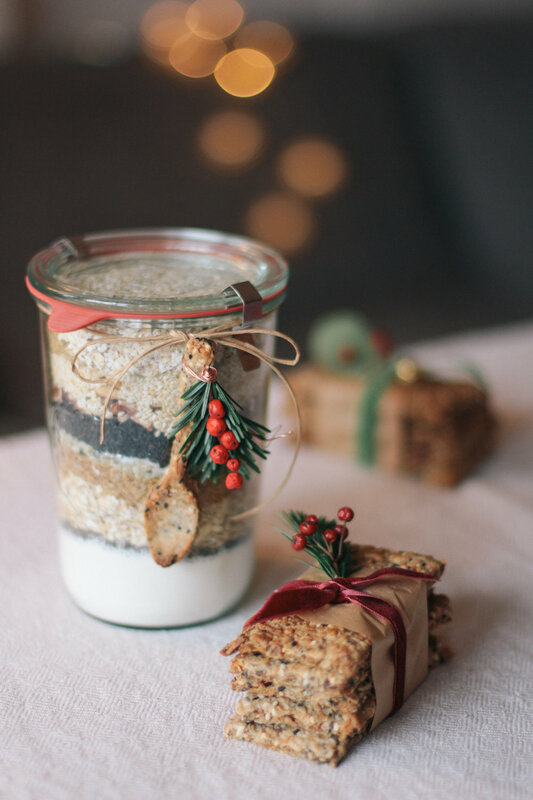 alternatively you can layer all the dry ingredients in a large jar to give away as a baking mix. just make sure to add instructions and the measurements for the wet ingredients. it looks especially pretty if you don't mix the ingredients, but layer them separately like we did. this is probably too easy a recipe to label it as such, but we just had to include it in this post. because it really is a l i f e s a v e r - made in absolutely no time, you'll never have to come empty-handed again, no matter how last-minute the invite. 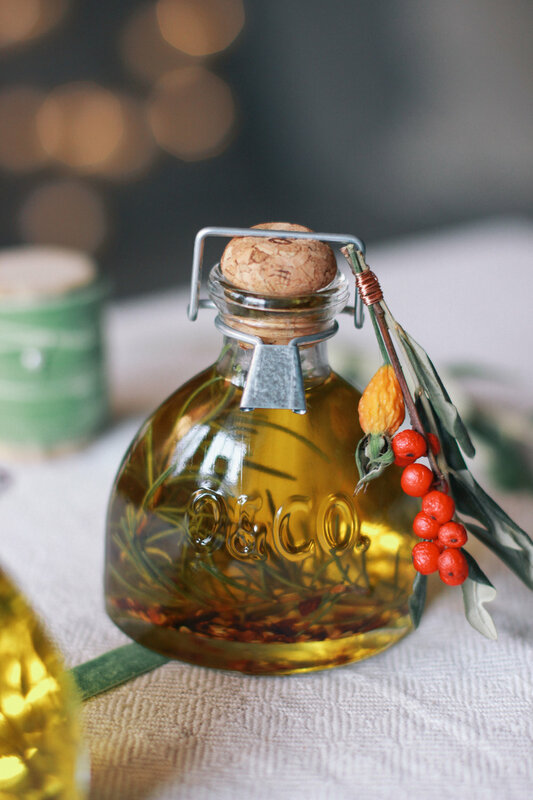 you can never go wrong with an oil as it's something that everyone needs. just add a special twist and voilà: a fancy gift that no one will ever know only took you two minutes to put together. add a bow and some dried herbs for an a+ on presentation. spreads are such an amazing gift and we've realized that every family has their own special recipe - we've tried so many delicious ones over the years and we're always grateful when we receive another. we're happy to share some of our family recipes with you here! toast the almonds in a pan on medium heat. place into a food processor and blend together with the argan oil. now add the honey and blend until you're left with a smooth texture. add extra oil if necessary - the almonds will always thicken up a little, so if it seems to runny, not to worry!